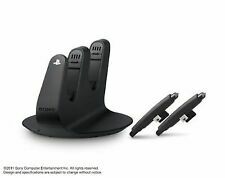 Sony PlayStation Dualshock 3 Controller Charging Dock Stand Dual Shock Japan . ⭐Platform: Sony PlayStation 3. ⭐Model: PlayStation 3. ⭐Connection: Wireless. Each hit, crash and explosion is more realistic when the user feels the rumble right in the palm of their hand. Black Color. Each hit, crash and explosion is more realistic when the user feels the rumble right in the palm of their hand. 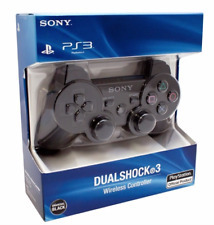 DualShock 3 in Charcoal Black. Each hit, crash and explosion is more realistic when the user feels the Ruffle right in the palm of their hand. Connect via Bluetooth (Wireless) or USB (Wired). Connectivity Technology: Wireless - Bluetooth. Play wirelessly with up to seven friends. ⭐ Platform: Sony PlayStation 3. ⭐Model: PlayStation 3. ⭐Connect: Wireless. ⭐ Appearance color: White. We will reply within 24 hours except the weekends. New in box and still sealed with instruction manual ! Exactly as seen in photos. Trending at $17.16eBay determines this price through a machine learned model of the product's sale prices within the last 90 days. 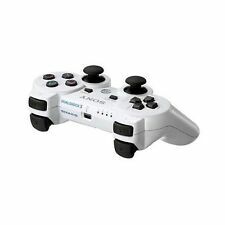 SONY Dualshock 3 Wireless Controller for PlayStation 3 - White Preowned. Free shipping. Trending at $20.89eBay determines this price through a machine learned model of the product's sale prices within the last 90 days. 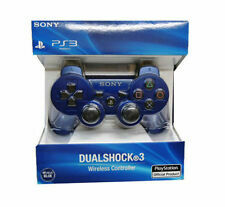 Wireless Dualshock Bluetooth Controller Gamepad Joystick For Sony PS3.... Condition is New. Shipped with USPS First Class Package. Box for the controller has some damaged. Clean! 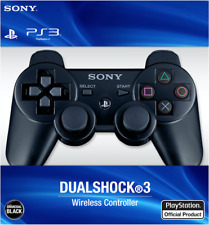 Official PS3 Black Wireless Dualshock Controller- Tested W/ 6ft Charger. Condition is Used. Very Good Condition Shipped with USPS First Class Package. 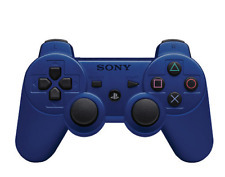 Dualshock 3 Sixaxis GENUINE SONY. Great working condition. Light wear. Does not include charging cable. Inventory Code: D5201194. Tested still works great. I thrive to make sure you are happy with your order. 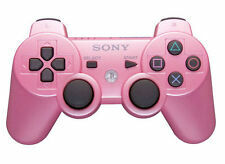 Pink Sony DualShock 3 (99004) Gamepad PlayStation Official Product. 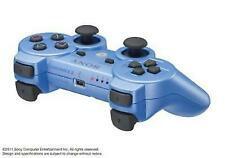 Sony DualShock 3 (99004) Gamepad PlayStation Official Product.. Shipped with USPS First Class Package. 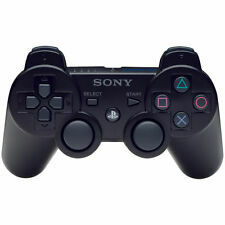 4 out of 5 stars - Pink Sony DualShock 3 (99004) Gamepad PlayStation Official Product. 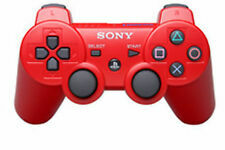 823 product ratings823 product ratings - Pink Sony DualShock 3 (99004) Gamepad PlayStation Official Product. It has been tested to work perfectly. 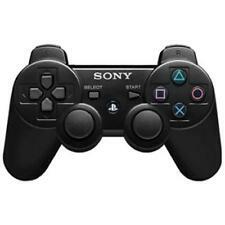 Brand NEW Sony PlayStation 3 PS3 DualShock 3 Wireless SixAxis Controller Black. Condition is New. Shipped with USPS First Class Package.